Yes!!! We have another ‪#‎triviatuesday‬ winners. Send us your contact details to receive your prizes.Thank you all for participating. ‪#‎vconnect‬ ‪#‎findbuysell‬. Question:If a Three Crowns Milk Tin says “everyone is a winner” is it saying the truth? Our winner today is INYIMA OGECHUKWU Congratulations!! You solved our riddle. 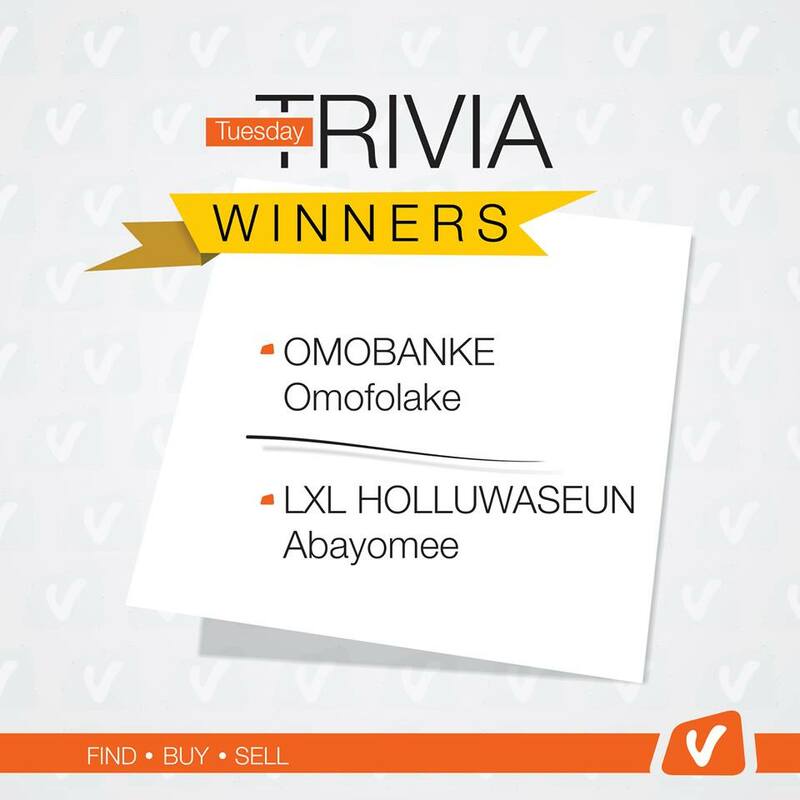 You just won a shopping voucher worth N50,000 and a chance to qualify for the grand prize. Please send us your contact numbers and preferred network (via Inbox). Your lines will be credited on Monday, Sept 28. STAY CONNECTED WITH US FOR MORE EXCITING CONTESTS & PRIZES. HAPPY SALLAH!